I’m not crafty and I can’t sew. And until now it’s never bothered me in the least. But after flicking through new book The Crafty Kid by homegrown craft goddess Kelly Doust, I’m suddenly wishing I hadn’t ditched sewing for woodwork back in high school! Sydneysider Kelly – best known for her popular blog The Crafty Minx – has compiled a collection of her most irresistible projects to do for or with children into her rather lovely new book. Mostly the fifty projects here require only basic sewing skills. Which, tragically, is even beyond me! But I’ve been busy marking pages for both my mother-in-law and my mum to tackle on my behalf! 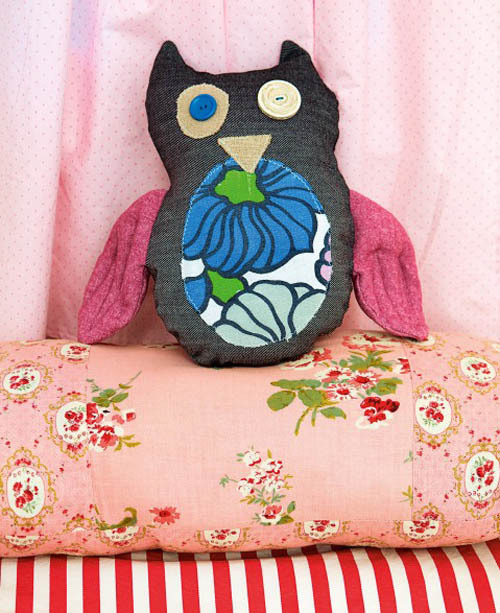 My favourite project is a toss-up between the stunning and dead-easy cubby house that’s designed to slip over a tabletop and this cute-as-a-button owl softie (pictured below) made from a pair of old jeans and an old pillowcase. Book bags, lunch bags, smocks, oil-cloth aprons, clothing appliqués, lovely personalised pillowcases and the sweetest A-line pinafore you’ll ever hope to see are among the other projects in the book, which has inspired me to enrol for sewing lessons as soon as my youngest boy is weaned! The Crafty Kid’s emphasis is on reusing those bits and pieces and old fabrics you may have stashed away in the cupboard and on rejuvenating op shop finds. I’ve got quite a collection of lovely but well-worn baby onesies and other clothes that my kids have grown out of but I don’t have the heart to throw away because they were favourites. Stay tuned to see them turned into parts of a patchwork pillow or a cuddly toy! 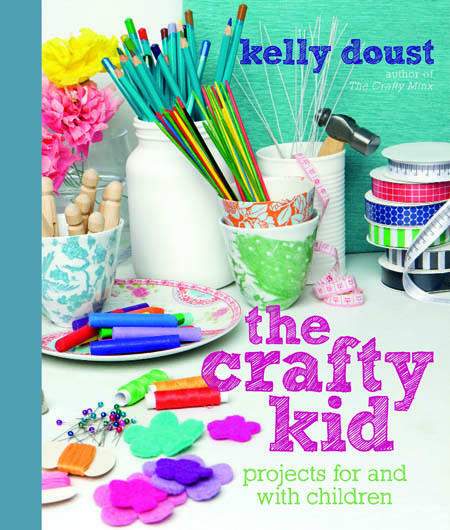 The Crafty Kid by Kelly Doust is available from Fishpond for $24.97 plus delivery. Grab a copy to unleash your own inner craft goddess.